Ariana Grande returns to the UK with her Sweetener World Tour this summer. She will also headline Manchester Pride Live at Mayfield on August Bank Holiday weekend. 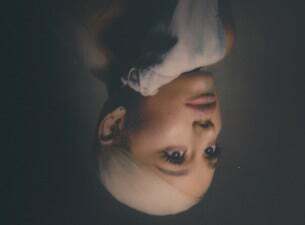 Recogised as one of the most magnetic and successful performers in pop music today, four of Ariana Grande's five studio albums have gone platinum and she has surpassed 18-billion streams online. Since making her full-length debut with 2013’s Yours Truly, Grande has brought her striking vocal presence to a genre-blurring breed of pop, taking on RnB, soul, and electronic music with equal nuance and assurance. On 22 May 2016, after her concert at the Manchester Arena, a suicide bomber detonated an explosive in the foyer of the arena, causing 23 fatalities and more than 500 injuries. Grande suspended the remainder of the tour and held a televised benefit concert One Love Manchester on 4 June 2016, helping to raise money to aid the bombing victims and affected families. The concert featured performances from Grande, as well as Liam Gallagher, Justin Bieber, Katy Perry, Miley Cyrus and other artists. To recognise her efforts, the City Council named Grande the first honorary citizen of Manchester. Ariana's newest album Thank U, Next (2019) has been praised by critics and the album has already peaked at the top of the album charts in Australia, Austria, Canada, Denmark, Ireland, New Zealand, Norway, Sweden, the United Kingdom and the United States. Her Sweetener World Tour comes to the UK in August.